Murray PHN (Primary Health Network) has been in operation since 1 July 2015. 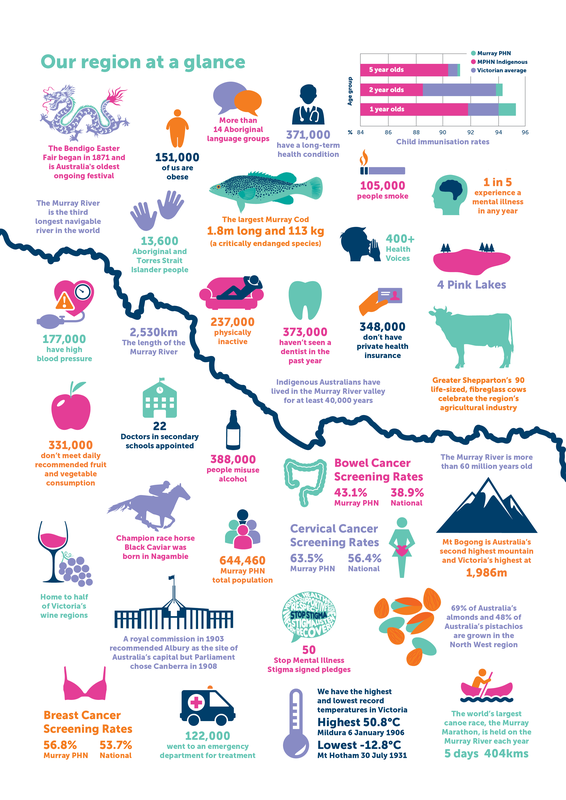 It operates from Mildura in the North West, to Woodend in the south, across to Seymour and up to Albury - an area of almost 100,000 square kilometres that is home to more than 644,000 people. 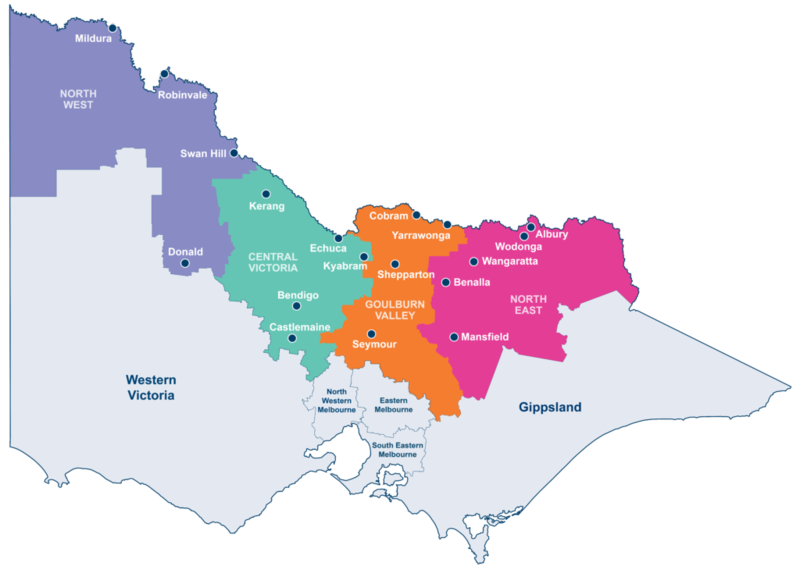 To service our catchment and its diverse population, Murray PHN has regional offices in Bendigo, Shepparton, Mildura and Albury, where we use local knowledge and local professionals to help optimise our primary care systems. In each of our regions we have established both Clinical Advisory Councils and Community Advisory Councils to contribute to our strategic and operational planning. For more information on PHNs, click here to visit the Department of Health's website. The Australia Government has identified national objectives and key priority areas for Primary Health Networks. These frame the focus of our organisation and we will be guided by both community and clinical input to improve health outcomes in these areas.